If your oven, range or hob is in need of repair in Birmingham, call now for a free call out, professional advice and a free quotation. In most cases our experienced repairman will be able to offer an immediate repair. 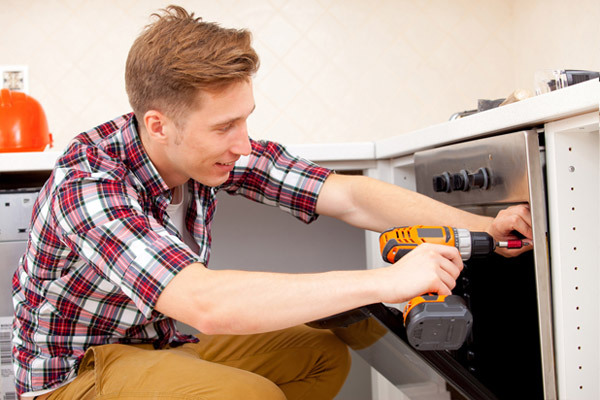 All kitchen appliances are subject to gradual wear and tear which can, eventually, cause certain parts to fail. 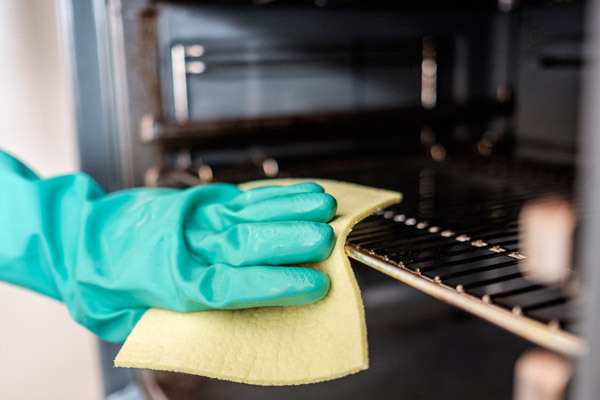 Fortunately, most of the better known major appliances in our kitchens today, like ovens, cookers and ranges, are built to last, making it cost effective to repair, rather than replace. 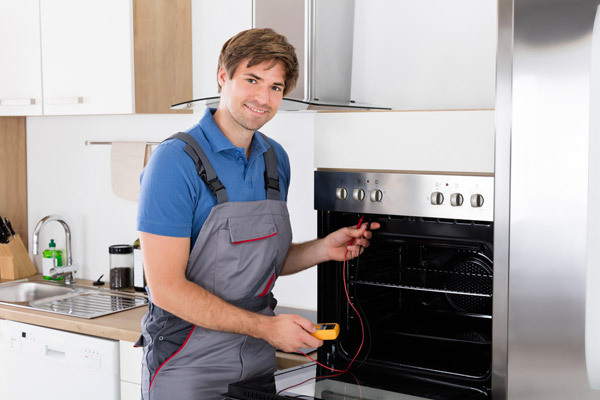 Our repairmen are well trained and experienced at repairing most makes and models, including gas and electric, free-standing and built-in units. Cracked or scored ceramic tops effectively mended. Elements, lights, seals, controls, fans, gas and other faulty, worn or broken components replaced. Faulty wiring replaced and repaired. 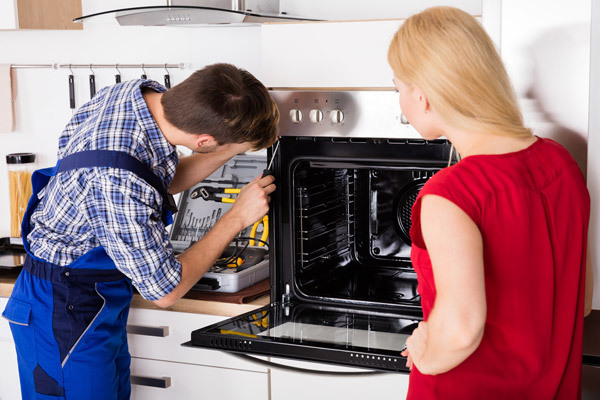 Whatever the problem, our trained technicians will provide you with quick, professional and guaranteed oven repair service anywhere in Birmingham. 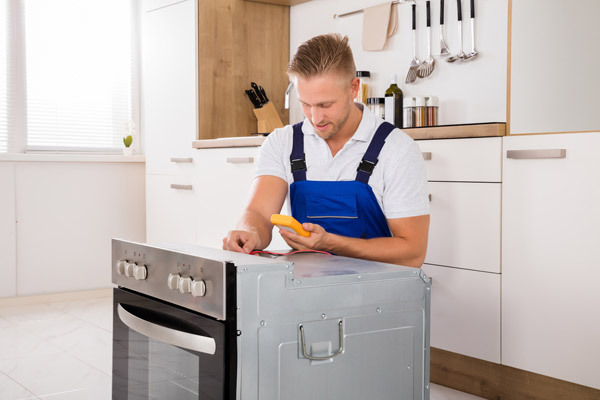 Our reputation is built on trust, reliability and a cost effective service which includes a free call out attended by one of our friendly and experienced repairmen. After establishing the fault/s and discussing effective and economical repair options with you, our repairman will provide you with a free (no obligation, no hidden costs) quotation for all parts and labour. Most call outs result in an on-the-spot repair, and a happy customer. Please browse through some of the many favourable testimonials we have received. All our repairmen are well trained and experienced at repairing all of the popular makes and models. Only high quality and recommended replacement parts are fitted. Our firm quotations include a no-fix-no-fee condition and all our work is guaranteed. We are fully insured. 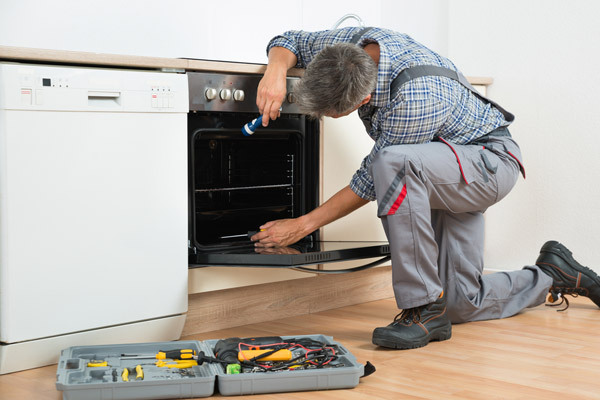 Call now for a FREE CALL OUT, a FREE QUOTATION and a FAST OVEN REPAIR anywhere in Birmingham. We are fully insured and all our work is guaranteed.